When I was a little girl I fell in love with horses and ponies. We lived in a small house in the middle of town and did not have much money. When I turned 10 my mom signed me up for riding lessons and I loved it. I rode a small Halflinger pony named Fancy. My dad got a raise and bought me a horse at our new house with a barn and pasture. 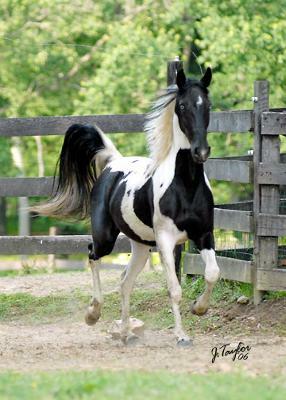 My new horse was a black and white Pinto mare named Shining Star. I started barrel racing when I was 13 which was last year. Shining Star and I have done well, but I have never forgotten Fancy and now my brother takes lessons on her.